Modern day gaming happens to be a more so closer view of the real-life happenings. From the days of simple and traditional games like Mario, the gaming world has come a long way toward high-end games on a portable device. The increase in the number of users of PCs, laptops, and mobiles has increased the number of gaming users almost at an exponential rate. Gaming users nowadays are not satisfied with average on graphics basic games. Thanks to awesome games like PUBG, Max Payne and GTA the level of expectations of game lovers has been set on a high. A Game developer these days need to be at the best of its skill in order to deliver gaming solutions that are in trend and in demand. Firms in online gaming development domain look for Game Developers who have the capacity and skills to withstand the needs of modern-day game development ecosystem. This is required as a game developer would be faced with complex coding challenges while working as a part of the project. The high end and more detailed graphical user interface and working of modern day games have made the task of coding and programming a tough nut. Finite State Machine (FSM) comes as an answer for game developers to ease out on this complexity. If you are someone who is working in the domain of game development or a budding game developer then you might have heard the name of Finite State Machine. In case you are not aware what FSM is then don't worry as we are going to discuss about FSM and would also take a look at the ways in which the FSM helps the game developers. So, keep on reading as we explain to you the functions and roles of FSM. What is Finite State Machine? In general terms, a Finite State Machine can be defined as a structure or system that allows the developer to define complex behaviors. Complex behavior can be understood as an instruction or instruction set with multiple actions say a game set up where you want the player to jump while running or roll, slide turn along with running. Finite State Machine allows these complex behaviors/actions to be divided/fragmented into a number of simpler actions that ultimately result in that complex action. Technically saying Finite State Machines are useful in implementing the Artificial Intelligence (AI) related logic in the game programming. It acts like a flow algorithm or sequence that guides the developer to get the desired results. Reduces the use of the if-else statement. Using FSM the pointer allows the firmware to go to the desired set of instructions in the memory of the controller. Moore Machine: Named after Edward Moore this FSM consists of states and transitions. State produces outputs that are determined by the current state rather than the input. Compact state machines: Compact state machines also known as Mealy machines (named after inventor George H.Mealy) produce outputs on transition rather than states. This results in state diagrams that have lesser states as a result of more logic being put on transition. Finite State Machines (or Finite automata) are more often used in the frontend of programming language compilers. A frontend of such type may comprise several finite state machines that implement a lexical analyzer and a parser. Beginning with a sequence of characters, the lexical analyzer builds on a sequence of language tokens (such as reserved words, literals, and identifiers) from which the parser builds a syntax tree. The lexical analyzer along with the parser handles the regular and context-free parts of the programming language's grammar. Since we have discussed the FSM and its use in game development at length we hope that you might have got an idea about it by now. Now, you can actualize the benefits of FSM in your game development process so as to ease the complexity of coding. 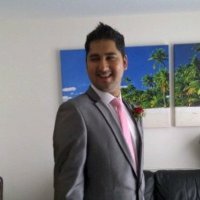 Sunny Chawla is a Marketing Manager at AIS Technolabs. Web-design and Development Company, helping global businesses to grow in the online market. He would love to share thoughts on Social Marketing Services,Digital marketing etc.. "